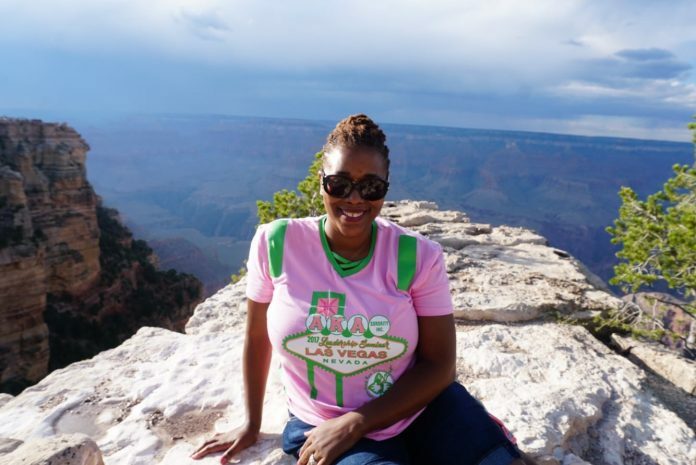 Alpha Kappa Alpha Sorority, Incorporated hosted our leadership conference this year in Las Vegas! 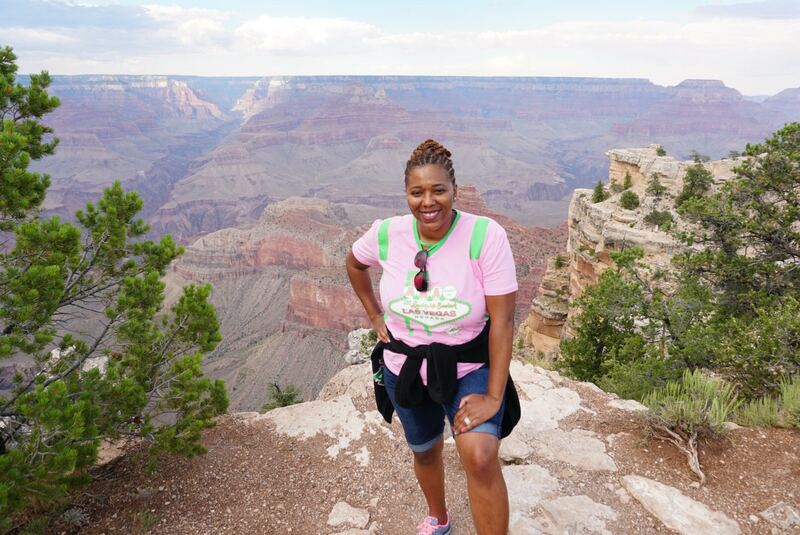 While taking time to serve the Nevada community and develop additional leadership skills, I managed to dip away to the grandiose Grand Canyon. The drive to Grand Canyon South Rim from Las Vegas was a solid 5 hours one-way (with construction here and there) and almost a full tank of gas. The stretch of highway doesn’t have a ton of amenities but there are a few. I planned ahead and stocked up on water and snacks before departing Vegas. During the drive, the temperatures vary a lot. One minute it is 110+ degrees, the next its 60. This fluctuation continued throughout the day. It seems odd to pack a jacket but you’ll need it when gusty winds whip around the canyon causing lower temps. So, the drive to Grand Canyon South Rim was mostly uneventful. About half-way through there was a flash storm and flood. Lightning struck as clouds darkened. It was a sight driving through the valley and watching seasons change. Thankfully, I arrived safely following the tsunami-like storm. The park entrance fee is $30.00 for personal vehicles per day. 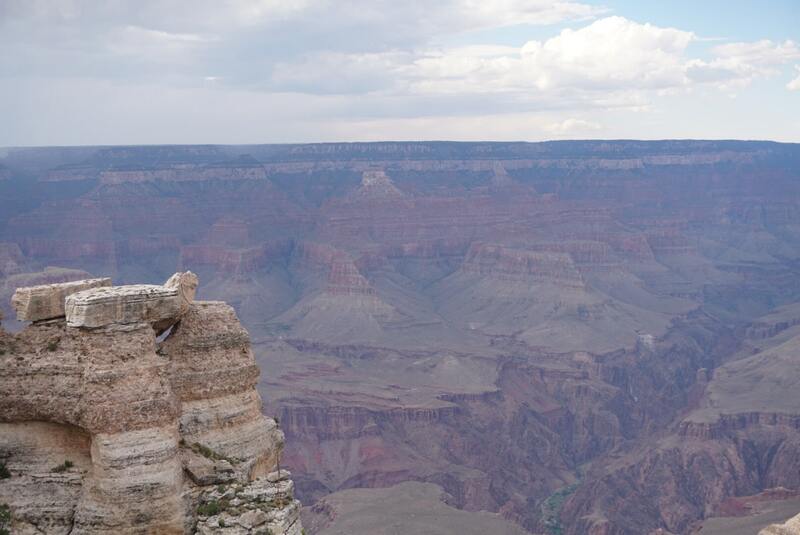 Given my departure out of Vegas the following morning, a few hours at the Grand Canyon was better than none. Now, some may wonder why go only for a few hours! Well, I was too close not to visit even if for a short while. The road warrior in me said yes!!! I decided on the South Rim instead of closer points near Vegas because I’d heard the views from this location were superb in comparison. I’m inspired! 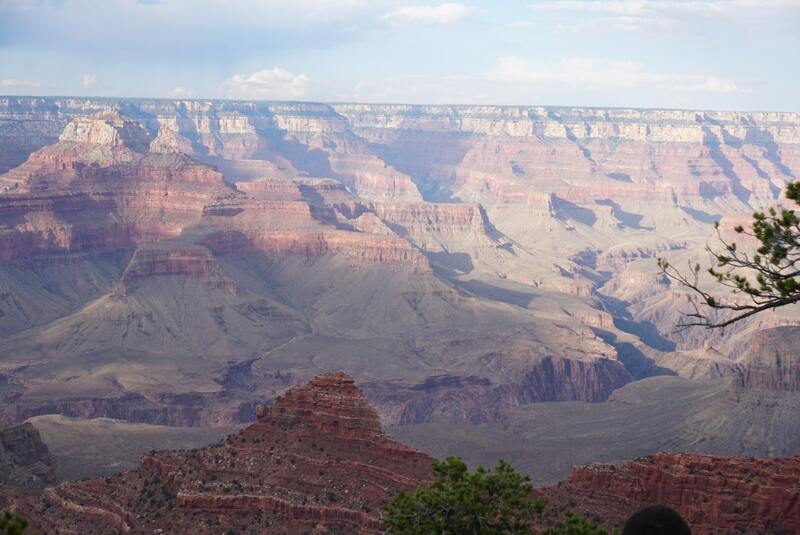 Overwhelming, the Grand Canyon tells many stories. No words can accurately describe the timeless beauty. The rocks, formed millions of years ago is a testament to the Earth’s transformation. And, sparks interesting dialogue on the topic of religion. Specifically, the history of Christianity which began more than 2000 years ago. On a prior trip, a friend said it all depends on what you believe. Insert my blank stare as he summed up the earth based on religious theory. Let me offer more context. In present day Israel (Judea) over 2000 years ago, Christianity formed. His argument, if Jesus Christ only arrived during the 1st Century, how can anything on Earth be older than that? I have a theory but that’s for another post! 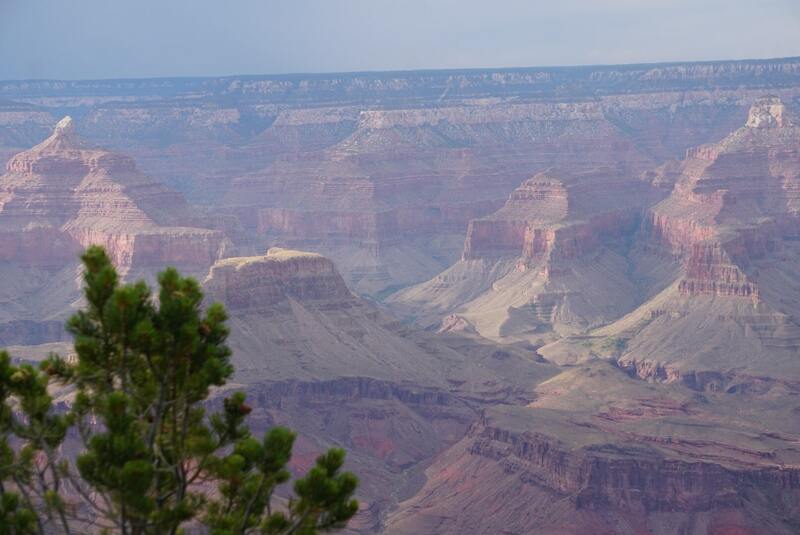 There are a number of stages which occurred to create the geologic layers of the Grand Canyon. Tectonic plates slowly moved across the Earth’s surface two billion years ago colliding with an island chain. Pressure and heat resulted on the canyon floor known as Vishnu Basement Rocks. You’ll notice in my photos various colors. From top down, the lighter shades of rock formed 270-315 million years ago. In the middle, hues of red limestone make up what is known as the Supergroup formed 315-525 million years ago. In short, collisions, drifting, erosion, rising and falling sea levels, and moving water all come together to form what we see today. My goal was to stay until the sunset. I was a bit nervous to remain after nightfall as a solo female traveler. For one, when you’re hiking you should have a few tools with you in case of emergency. Unfortunately, I didn’t have the recommended pocket knife in my carry-on! Plus, I didn’t want to walk the rim at night alone. It is dark (flashlight is necessary)! You never know when you might bump into crazy who wants to chase you off the ledge. Just kidding, but for real! Also, the range of wildlife in the canyon was another thing top of mind. Luckily, I didn’t come across any but was well aware of the rattlesnakes, sheep, and mountain lions that exist. The breathtaking aerial views from high above the canyon were magical. I sat down and took it all in for a long while. 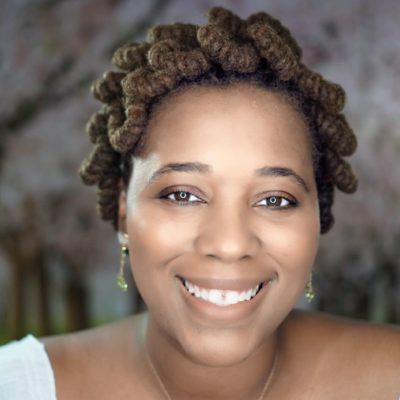 As a travel blogger and storyteller who’s full of words, I can hardly come close to describing the calmness and peace that covered me on the mountaintop. 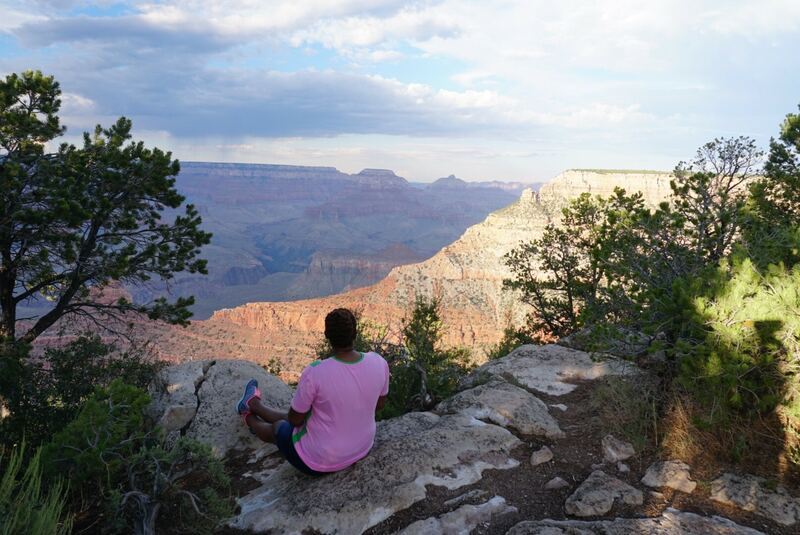 You must visit Grand Canyon up close and personal for yourself. If I’m ever in the area again, I’ll spend time walking the inner canyon along the bottom. I can only imagine what it’s like staring up from the valley low. 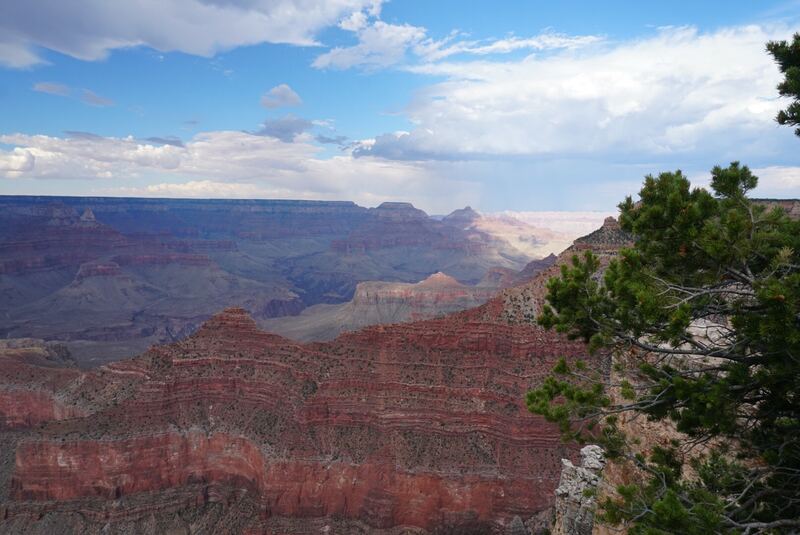 Enjoy pictures from my journey along the south rim with stops at Mather Point and beyond. Stay on the trail and away from cliffs. You’ll see everyone venturing off the trail anyway because who doesn’t want to risk their life for the perfect selfie! However, you need to reconsider and be careful as the rocks fall and shift frequently. Thunderstorms in the summer are common. I experienced a couple myself. The wind was also extreme at times. If I had to guess, winds of about 20-30 mph whipped through the canyon out of the blue. Watch out for lightning which was also rampant. Don’t feed the animals, it is illegal. Don’t back up without checking behind you. Seriously! So many people do this. 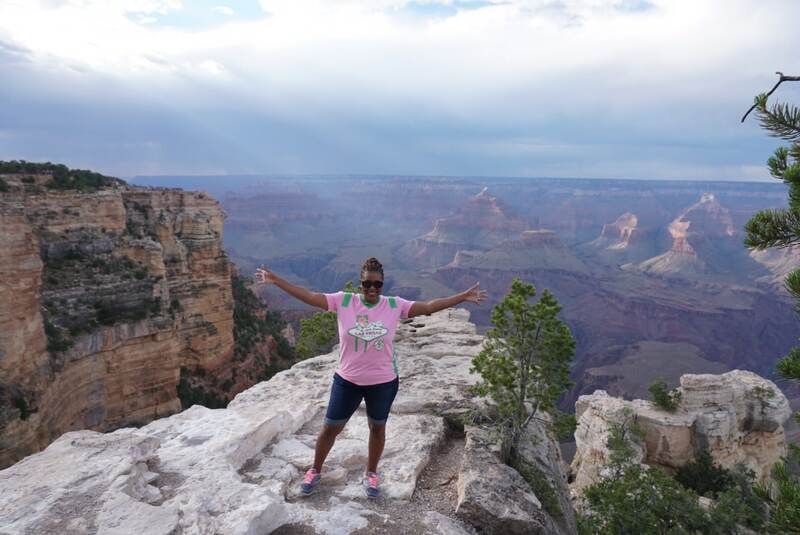 Have you been to Grand Canyon?